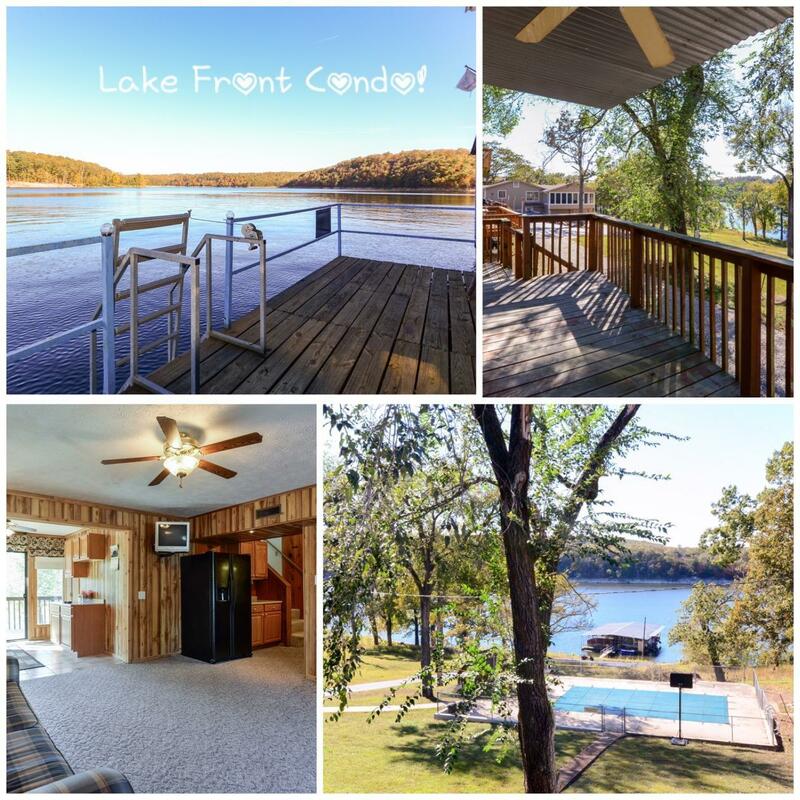 SHELL KNOB LAKE FRONT CONDO-HALF DUPLEX!! Absolutely gorgeous, year round, views of Table Rock Lake, from this completely renovated mountain condo. Right next to the Condo POOL! The kitchen and living room open to the main deck, and upstairs, there is a family room, and two more bedrooms. All Furniture and appliances are included. This half duplex condo is easy to the water, and the 10x24 boat slip is a golf cart ride away, it has electricity & swim platform. (extra $36,500) It's been well taken care of, and has a Brand new metal roof. No nightly rentals here, so you'll always know your neighbors. This is your new lake getaway. The data relating to real estate for sale on this web page comes in part from the Internet Data Exchange (IDX) of the Southern Missouri Regional MLS, LLC, Inc. Real estate listings held by Brokerage firms other than Team Real Estate - Springfield are marked with the IDX logo and detailed information about them includes the name of the listing Brokers. The information being provided is for consumers’ personal, noncommercial use and may not be used for any purpose other than to identify prospective properties consumers may be interested in purchasing. The information being provided is not guaranteed, and all information should be verified by the consumer. Any representation that a web site contains all listings shall only mean that the website contain all listing available to the public through the IDX data feed. There may be other properties offered through a REALTOR® that have not been displayed on this site. © 2019 Southern Missouri Regional MLS, LLC. All rights reserved. Data last updated: 2019-04-22T09:50:23.013.